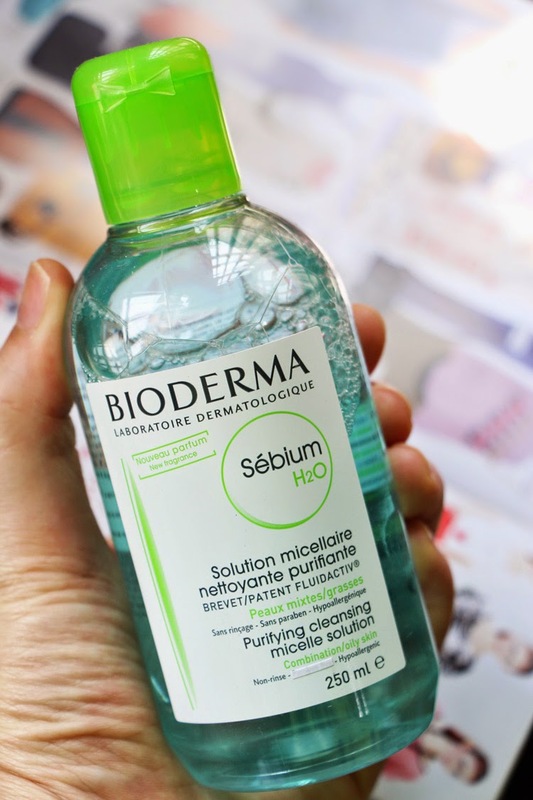 I guess no introduction would be necessary with this world wide known and the first ever cleansing water from Bioderma. I heard and saw about it waaayy long ago when youtube guru was still using pocket camera filming in their non decorated bedroom. But at the time this product was not available here, so I didn't really pay any extra attention to it. Then about a couple years ago, I watched Lisa Eldridge doing her makeup removal video and she use this to erase all of her makeup and it look so clean! By the way her skin look and her face reaction I can feel the cleanliness of this product. But a few other gurus were ditching about the product saying it didn't cleanse out their makeup that well. I was contemplating, by the time, the Bioderma has made its way down to J-town and available to pick up here locally. 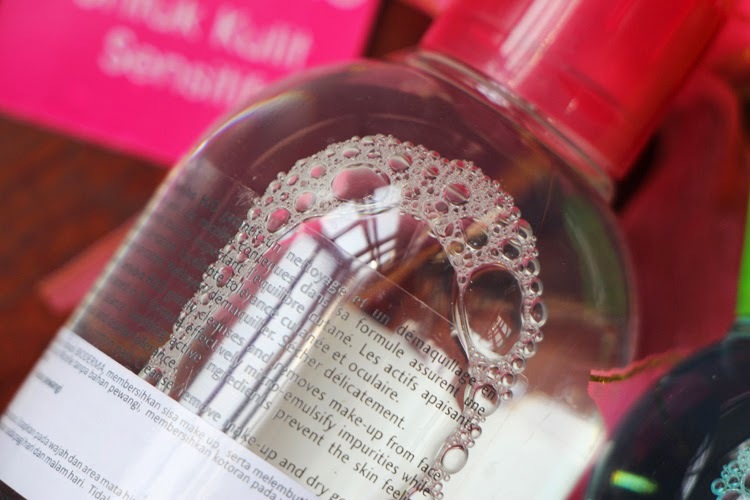 But hearing mixed review, I decided not to buy it since it's pretty pricey for cleansing product, you know. Long story short, I finally bought this a couple of months ago when it was on sale. 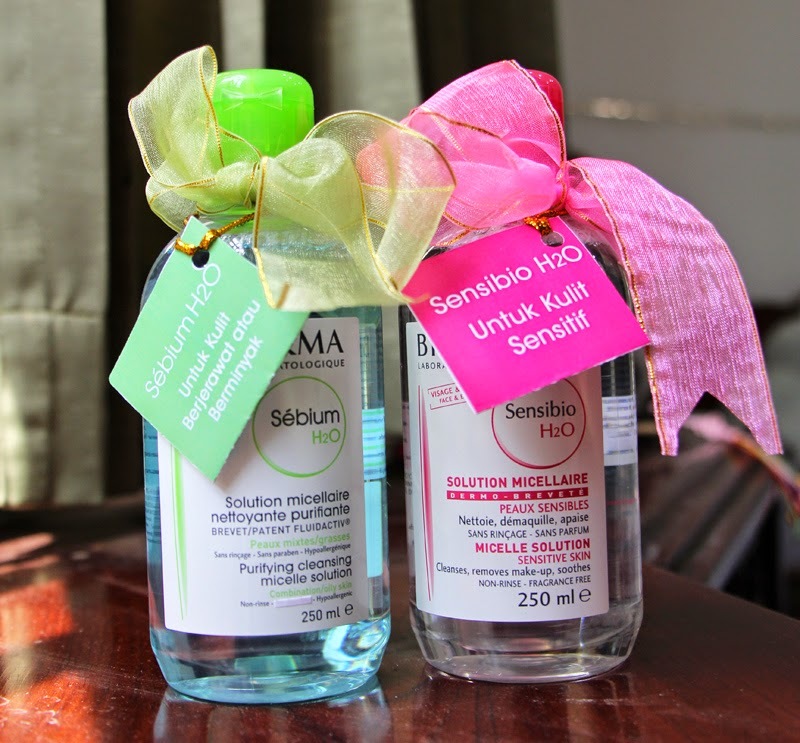 Not long after that, Indonesians Bioderma team contacted me to try and review the product. Coincidence, huh? 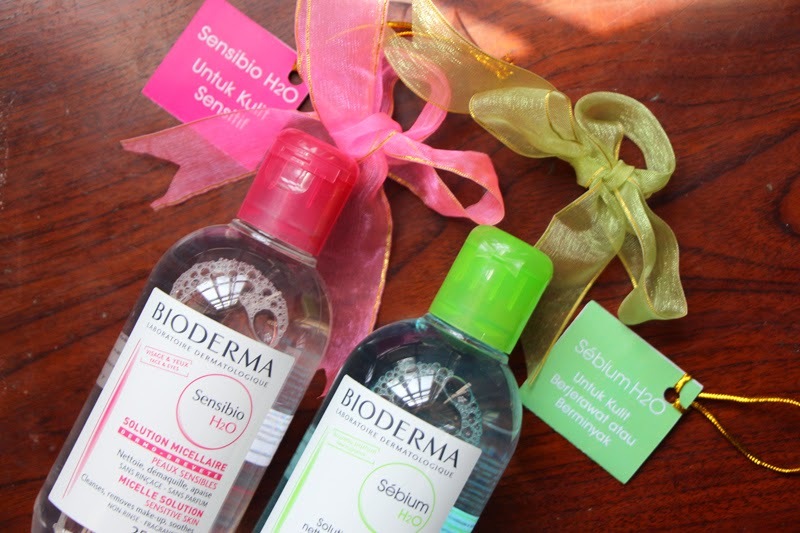 Well now, I'm done with my first bottle of Bioderma and I'm very glad I did it before putting the review! 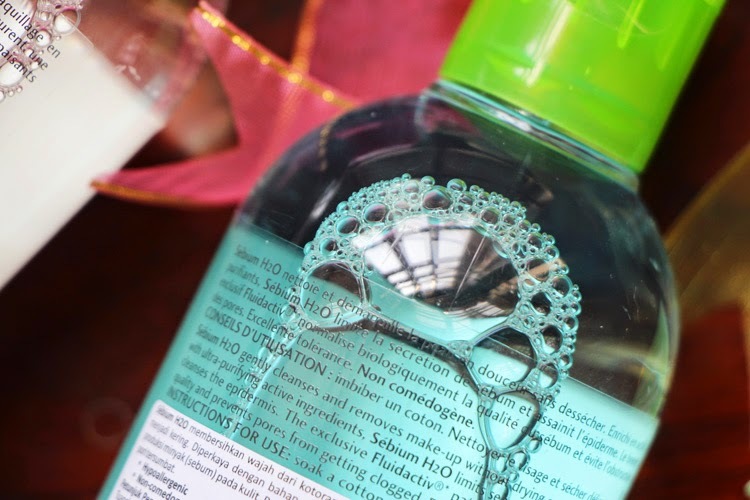 Now first of all, I'd like to share a bit about why this particular cleansing product has become the first on its class. 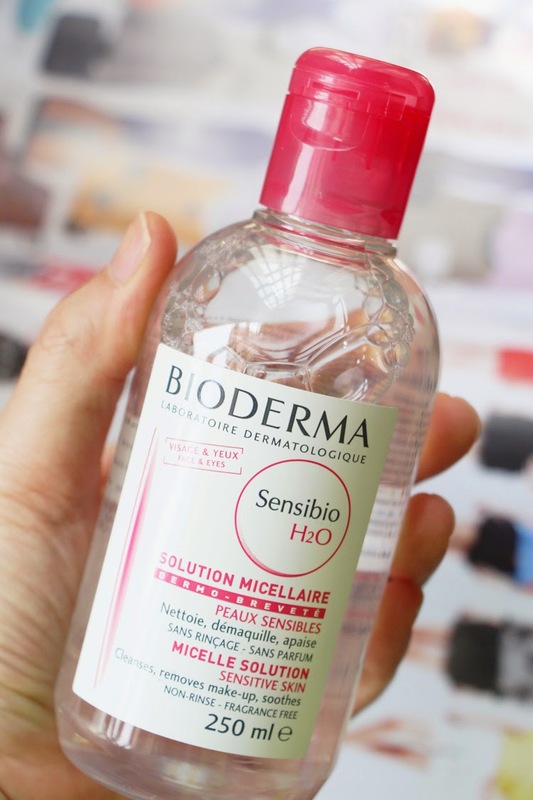 They also claim that their Bioderma Sensibio H2O only is sold every 5 seconds all around the world. It is the first of its kind (that I know of. Clever, I know) to have the micelle technology to cleanse the face. It feels very light and airy just like rubbing water on your face. This product could removes makeup and dirt at the same time with comfort feel. Save for sensitive skin let alone other skin type. It even said that this can remove waterproof makeup and it doesn't need to be rinse off. Sounds very practical, even after a long tiring day. When I first got it, to be honest, I didn't love it that much. It can removes my face makeup but it's so hard to remove my waterproof mascara. I already soak my lashes in it for around a minute and it didn't even move. I used to use the Maybelline Eye & Lip Makeup Remover which is an oil based cleanser that took off the mascara right away. But I still have it in my head that Lisa Eldridge use this and this only to removes all of her heavy makeup including her mascara. I just couldn't believe that this product can't work on me. It should work on me! So I use it religiously every night to remove my makeup. And oddly, the more I use it the easier it gets to removes my mascara. Eventhough not as clean as if I use my Maybelline Eye & Lip Makeup Remover, but it does the job. When I clean my mascara with this only, I still have that mascara smudge on my lower lash line in the morning. But lately I rarely use mascara since I don't want to curl my lashes that often to avoid lash breakage, and this product does wonders! As I said ealier it feels just like rubbing water on your skin. It doesn't smell and it does somehow give my skin a bit of cooling sensation after a long day at work. It removes my daily makeup easily and effortlessly, leaving my skin feels very clean just like I just wash it. My skin is also feel very comfortable and well moisturized. It could also removes my heavier makeup, it only need a bit more product to fully remove all of it. 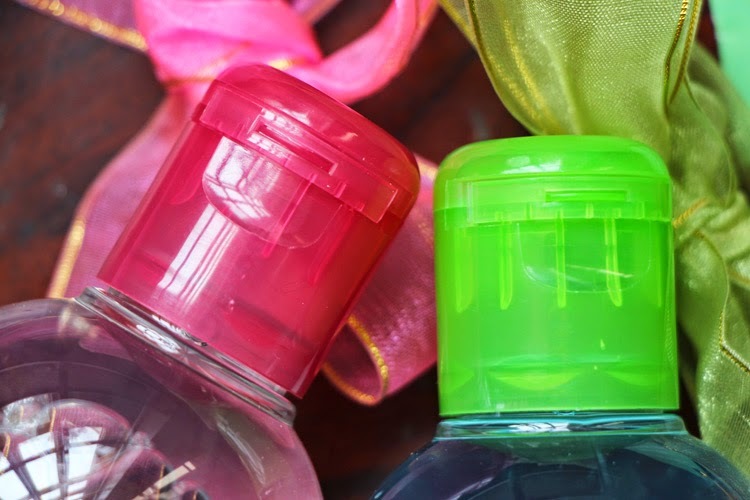 For all this time I only know the Sensibio H2O with the signature pink cap on it. 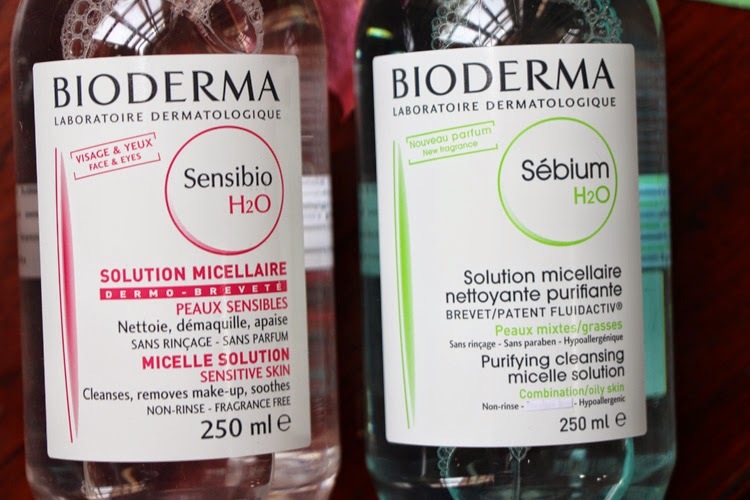 I just found out when Bioderma got here that they also have a Bioderma Sebium H2O for oily skin with the green cap. 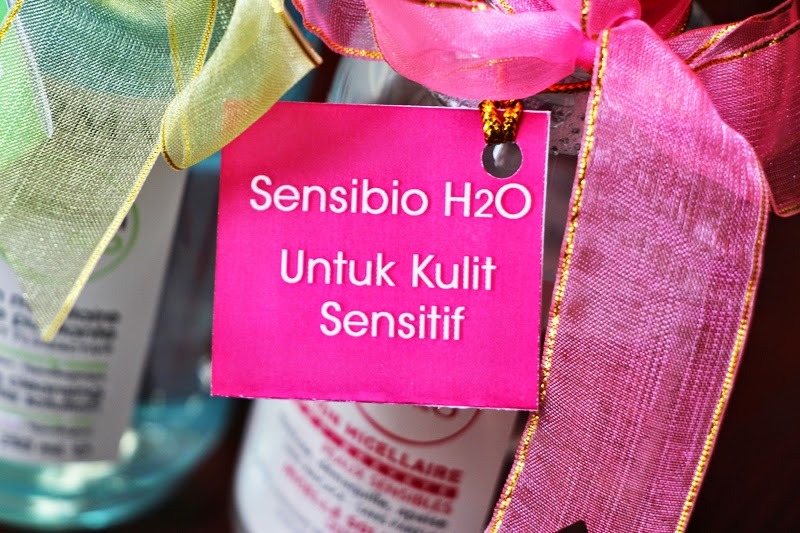 The texture and cleansing action are all the same with the Sensibio. But this one has a calm blue color on it that goes completely transparent when poured out on cotton. It also has a fragrance that smells very fruity but nothing overwhelming. Both formula works the same in cleansing. The middle picture is after I soak it a bit and do one swipe. You can see most of the makeup I put there gets removed very easily, the only thing remain is my waterproof mascara. After a couple of swipe later it is squeaky clean! For a side note, hands are quite a flat surface but our eyes have all of this nooks and crannies so it's harder to clean. 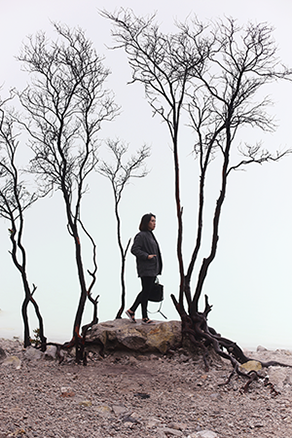 Overall, I love these product very much and I'm very happy to recommend it to all of you! You can get Bioderma in every Guardian & Watson in your city. 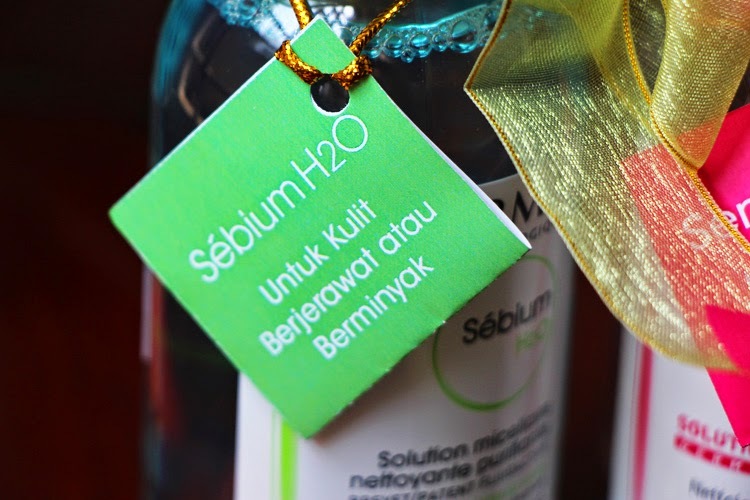 And if I'm not wrong, the 250 ml ones (as shown in this review) are priced around IDR 180.000-ish.